A Spa Day at Kettering Park Hotel and Spa was a lovely treat. Kettering Park Hotel and Spa is set in beautiful Northamptonshire, only an hour from London. 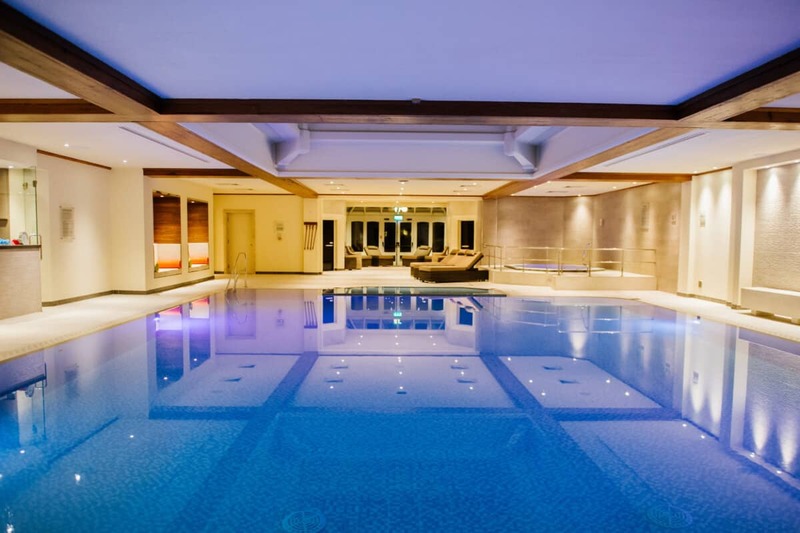 The Spa is gorgeous as you can see from the indoor pool above. All Spa photos are courtesy of Kettering Park Hotel. Go and enjoy a Spa day or book into the hotel for a longer break. If you are lucky enough to live nearby, you can become a Club member and enjoy the facilities. The Spa was popular with a lot of guests, which is always a good sign! A very happy atmosphere set the scene for a relaxing time for me. Kettering Park Spa has a huge and beautiful pool. Swim some lengths or float and forget. 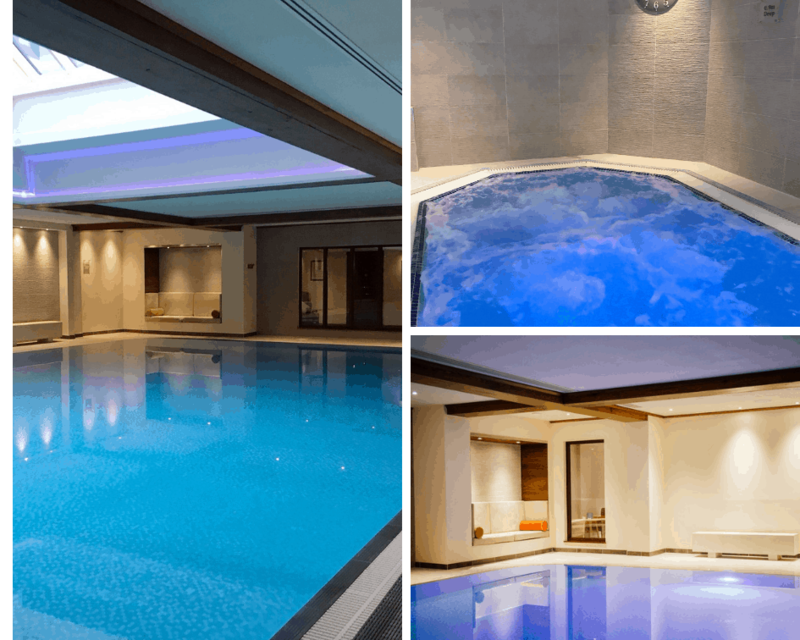 A sauna, steam room and spa pool for relaxation. There is also a gym with lots of machines for a fitness routine and a studio with mats for stretching. 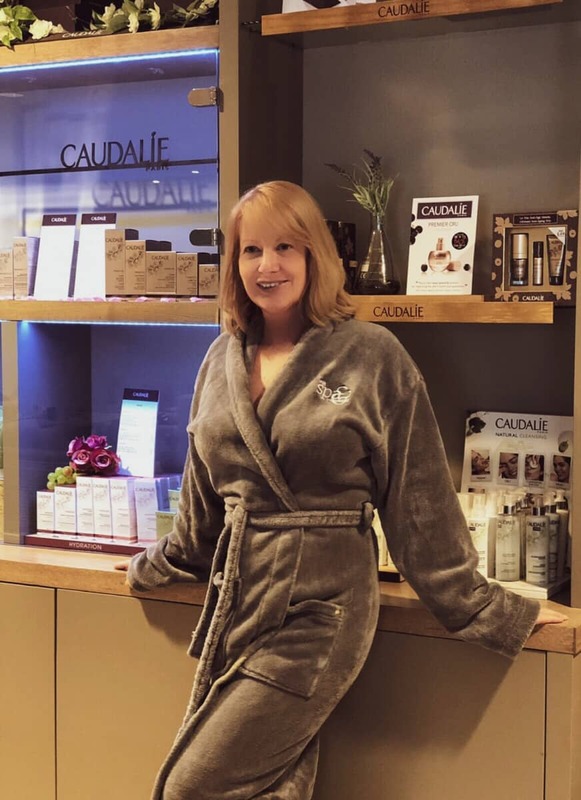 As you know, I adore Caudalie products and have used them for many years. 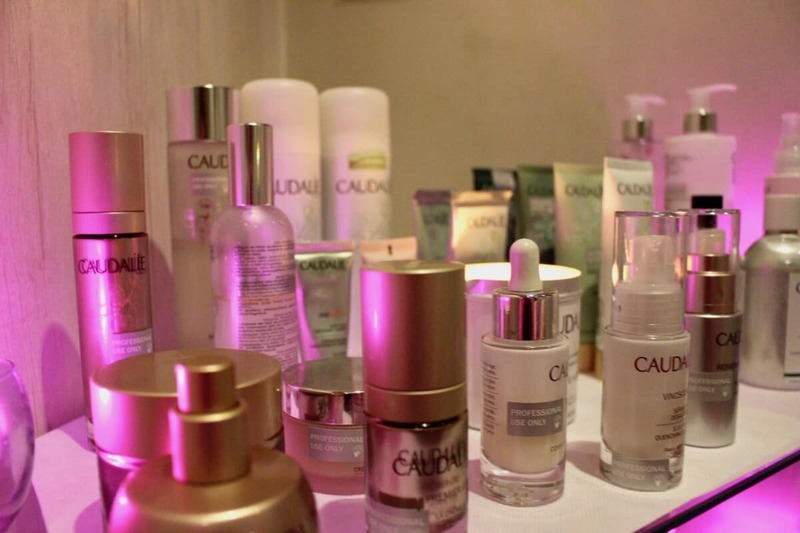 Kettering Park Hotel and Spa has beauty treatments using Caudalie products. I was thrilled to be invited for a luxury facial and Spa day. This exceptional anti-ageing treatment uses innovative techniques to lift, moisturise, smooth and plump the skin. First, a roller massage is used to facilitate the penetration of active ingredients, promoting natural production of collagen and elastin. Next, an exclusive hydrogel mask is applied before Premier Cru cream, is massaged into the skin. My face looks refreshed and lifted three days after the facial. The results are excellent and I am delighted. In fact, I will definitely have a Premier Cru Facial again. Lauren, the therapist at Kettering Park Spa was very knowledgeable and gave lots of great skin care tips during the treatment. Caudalie was created by Mathilde and Bertrand Thomas on their family vineyard over a decade ago. In partnership with Professor Joseph Vercauteren (their now scientific advisor and a world specialist in polyphenols, a.k.a mega antioxidants), they began creating skincare products from the grape seeds, grapevine stalks and sap – anti-ageing ingredients they then patented – for use in their pioneering products. I love their natural products, use of recyclable packaging and ethos of ethical products. If you want to try Caudalie Premier Cru for yourself, click on the link on the right hand side of this page. Next Post Morocco Road Trip – Drive yourself!